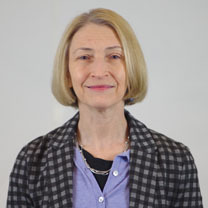 Dr. Randi Priluck is Professor of Marketing and Associate Dean, Undergraduate Studies at Pace University. She also serves as Director of the Masters in Social Media & Mobile Marketing program in the Lubin School of Business. Her areas of expertise include digital marketing strategy, consumer learning and brand management. She has published in a variety of marketing journals and presented at academic conferences and is the author of Social Media & Mobile Marketing Strategy from Oxford University Press. Dr. Priluck earned her Ph.D. in business with a specialization in marketing from Drexel University in 1995 and an MBA from New York University in 1990. Wisenblit, J., Priluck, R., Pirog, S. (2013). The Influence of Parental Styles on Children's Consumption. Journal of Consumer Marketing. 30(4), 320-327. Lala, V., Priluck, R. (2011). When Students Complain An Antecedent Model of Students' Intention to Complain. Journal Of Marketing Education.